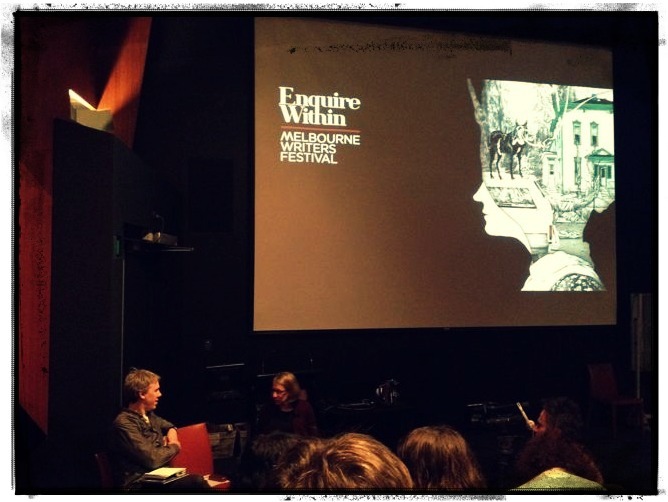 On the weekend I went to a session at the Melbourne Writers Festival called Fine Lines which featured cartoonist Roz Chast (of The New Yorker fame) and Age newspaper regulars Oslo Davis and Judy Horacek. Each cartoonist gave their own presentation before a Q&A and I loved hearing the cartoons read out by their creators (hilarious) and a bit about the process of their work and the development of their careers. It was a little sad to hear the Australian cartoonists wonder where the form will go from here. With The Age in peril and the future of print newspapers in Australia uncertain, there are not all that many forums for their work. I think the American market is a lot more robust, with a bigger population able to support more periodicals. I'm sure cartoons will find their position in the new print or online media in Australia - whatever that might look like. While I am a huge fan of The New Yorker's cartoons (which deal mostly with universal themes) it's also nice to see Australian and even Melbourne-specific humour (both Horacek and Davis showed myki-themed cartoons - myki being Melbourne's much-maligned public transport ticketing system). It was really interesting to hear how Oslo Davis comes up with his Overheard cartoons (he writes them down when he hears them, or emails them to himself on his phone, or is given an 'overheard' by someone else, and he tries to take a sneaky photo on his phone of the situation). Judy Horacek talked about how cartooning used to be simple - it was about a pencil and paper and your ideas. Now it's scanning and Photoshop and a whole lot of technology. Roz Chast said she went to art school but it was all so serious (she did a very entertaining impression of a painfully earnest professor). She loves cartoons because they 'combine three of my favourite things: words, drawings and jokes.' I love that. All three of them agreed that the important thing for them is the joke and that the drawing serves the joke. 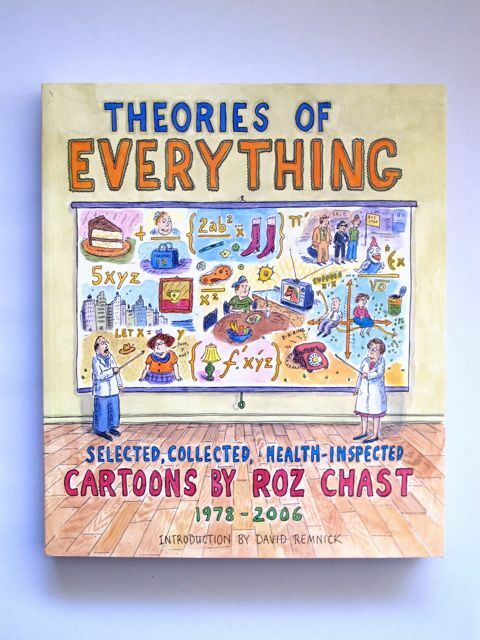 After the session I bought Roz Chast's collected cartoons Theories of Everything from the festival bookshop and went to get it signed. I'm such a nerd. I love getting books signed. The only thing is, I almost never give any thought to what I will say when I reach the front of the queue. 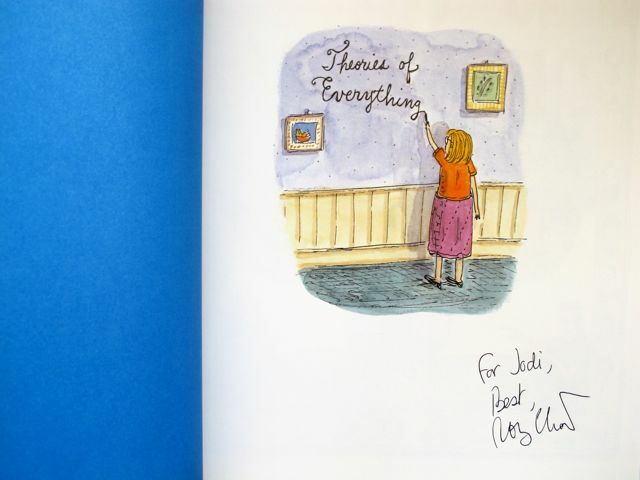 To Roz Chast, who has been called a certifiable genius - a genius - I said, 'that session was really interesting'. And then I spelled my name out for her. Interesting?! Is that the best I could do? I am so deeply uncool. I also wanted to talk to Judy and Oslo (I think I might own every publication Oslo has put out and our household is probably the biggest fans in the world of Where is the Green Sheep?) but I was too embarrassed after being tongue-tied in front of a genius. Anyway, that's okay. I'm sure people who sign books are actually really thinking about what they're going to have for dinner or whatever, and don't really notice that you've choked on your words. Although Roz Chast was lovely and didn't appear at all as though she was thinking about her dinner. I'm so happy with my purchase (signed and all). I have been leafing through it these last few days, chuckling out loud and occasionally spluttering and saying to myself, 'genius'. Overall, the Fine Lines session was well worth it and I recommend checking out all three cartoonists' work if you don't already know them.